“Outcast” boasts a great logline, a strong pedigree and an atmospheric setting — and squanders all three by playing keep-away with the audience. That game of withholding integral information and backstory works well in the first episode, “A Darkness Surrounds Him”: What’s the deal with the frightening flashbacks to child abuse? 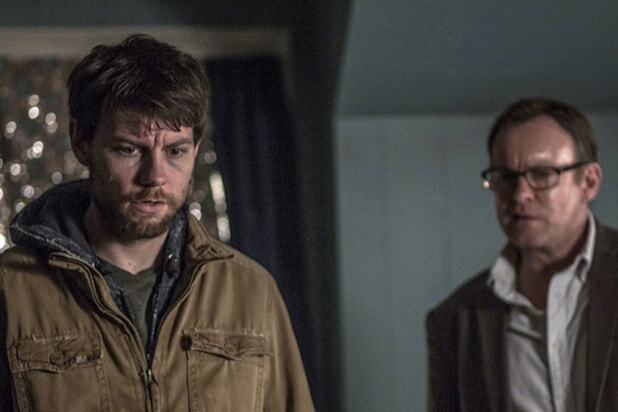 Why is Patrick Fugit’s Kyle Barnes, a prodigal son returned to his childhood home of bad memories and no running water, content to wallow in his own filth until someone drags him out? And why is only Kyle able to dispel the demon that has taken possession of a little boy? Fans of the source material, Robert Kirkman‘s graphic novels, already know the premise of this possession thriller, but casual viewers of the first episode will be left in the dark — and genuinely frightened. There’s a constant pall over the sleepy Southern town where dark forces seem to be gathering, and Fugit is adept at conveying feral fear. But then the second episode withholds more information. And so does the third. And then the fourth. Finally, you begin to zone out on all the horror and murder and beatings and cryptic smiles and enigmatic remarks and start wondering: What’s the point? Weekly horror is difficult to pull off; the best scary movies depend on ratcheting up suspense to a sudden catharsis. “Outcast” tries to maintain a sense of tension from episode to episode (only the first four have been made available to critics) but too many sags in the storytelling allow doubt to creep in. Wrenn Schmidt does great work as Kyle’s childhood friend whose family took him in, but her storyline–and that of her cop husband, who discovers an extremely unsettling trailer in the woods–keeps distracting us from the truly strange exorcisms in which Kyle and his new partner in demon-fighting, Reverend Anderson (Philip Glenister), are engaged. Mostly, Reverend Anderson tries the classic methods, and then Kyle loses his considerable temper and starts wailing on the possessed, which is very effective but terrible for his reputation in such a small town. Of course, it turns out that his dark backstory involves much more than a possessed mother who locked him in a broom closet and beat him before lapsing into catatonia after he freed her from the demon. Kyle is perpetually surrounded by people with demons living inside them, and has retreated back to Rome, West Virginia, after exorcising his wife (Kate Lyn Sheil) the only way he knows how and earning a restraining order in the process. Forced by law to stay away from his wife and daughter, Patrick is, at essence, just another white guy approaching middle age and having a crisis. His happens to be taking place in proximity to gruesomely murdered neighbors, demonic possessions and a comatose mother. The larger problem with “Outcast” is that it wallows in its atmosphere as much as Kyle does in his misery. 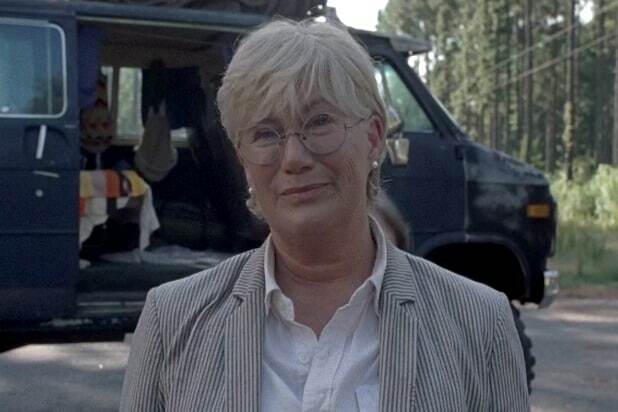 Scene after scene is drenched in dread (particularly in the fourth episode), but that dread ultimately leads nowhere. Kyle’s gifts remain mysterious, and the world doesn’t seem on the verge of ending even as the number of possessed citizens roaming it seems to be increasing at an alarming rate. And whether or not Kyle and Reverend Anderson beat out the devil seems to be far from pressing; there’s a distinct lack of life and death stakes to these possessions. By the end of the fourth episode, “Outcast” is in danger of becoming the worst kind of tease: All buildup, no payoff. “Outcast” premieres at 10 p.m. Friday on Cinemax.